Samuel Carr Hordern was born in 1929, the son of Cowra Stewart Hordern (1891-1970) and his wife Aileen Ivy Lyburn, nee Carr. Samuel Carr Hordern is a descendant of Anthony Hordern (1819–76), founder of a retailing empire and former Sydney Alderman. From 1916 Samuel Carr Hordern’s father, (Cowra) Stewart Hordern, was involved in the well-known family business. Following a family rift in 1922, Samuel Carr Hordern’s grandfather, Edward Carr Hordern, founded, with his three sons including Stewart, a new family firm called Hordern Brothers Limited. Samuel Carr Hordern also joined this branch of the family firm. He also had many other business interests including ownership of Beech Aircraft Corporation. 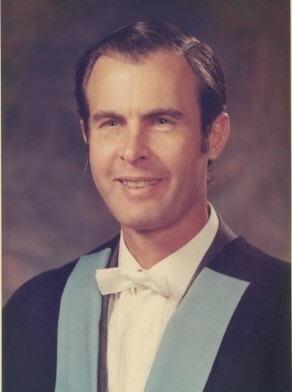 Samuel Carr Hordern was Alderman for Macquarie Ward, 27 September 1969 to 20 September 1974. He was a member of the Finance Committee and the Community Services Committee from 1969 to 1974. Hordern was subsequently appointed a member of the New South Wales Board of Health. He was also a member of the Civic Reform Association. Ruth Teale, ‘Hordern, Anthony (1819–1876)’, Australian Dictionary of Biography, National Centre of Biography, Australian National University, http://adb.anu.edu.au/biography/hordern-anthony-3796/text6009, accessed 11 January 2013.